Martin Lewis, 45, the Money Saving Expert, revealed how you could get a free will on ITV‘s This Morning on Wednesday. A will is a legal document in which a person expresses what they wish to happen to their legal property when they die. What is more, many use it to make sure they and their loved ones are not paying more inheritance tax than necessary. However, it can be expensive – but you can could get a free will this month. 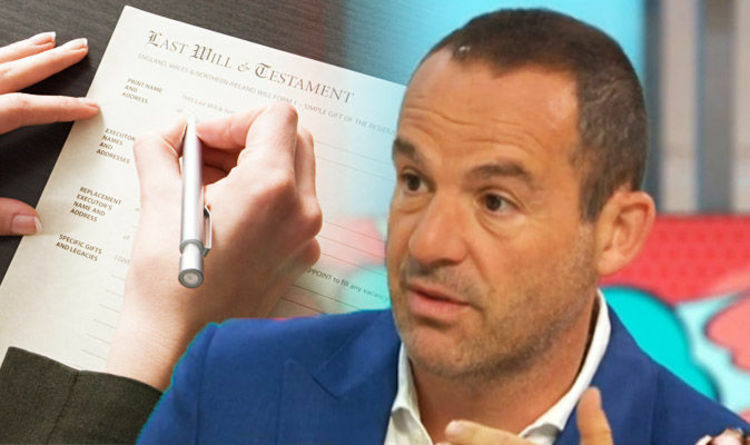 Martin Lewis appeared on Good Morning Britain on Wednesday to talk about free wills month. He said: “Solicitor-drafted wills are the gold standard, and normally cost £150 or more. Yet if you’re 55 or over, this October is Free Wills Month, where solicitors in over 40 locations in England, Wales and Northern Ireland will draft a will for you for free. Martin said getting your free will is as simple as booking an appointment. “Enter your postcode on the Free Wills Month website and call to book an appointment with one of the solicitors that are participating nearby,” he explained. Free wills month is a charity-backed scheme and charities pay for the solicitors’ time. Martin said: “Be prepared for your solicitor to ask you to consider making a bequest to a charity in your will (leaving it something when you die). How much should you leave to charity in order to say thank you? “Perhaps a good minimum is leaving enough that would cover the solicitors’ fees normally – typically £100 – £150 though of course more is fine,” Martin said. “There’s a range of charities to choose from including British Heart Foundation, British Legion, Mencap, Guide Dogs and Diabetes UK. Martin Lewis revealed the best bank accounts to switch to before Christmas. Martin added: “For the vast majority (76 per cent in my last Twitter poll) it’s a simple process.